"It's not like they're family." Sound familiar? If you're grieving the death of a friend, you've probably heard that from people who just don't get it. And if it made you angry, well, you're not alone. 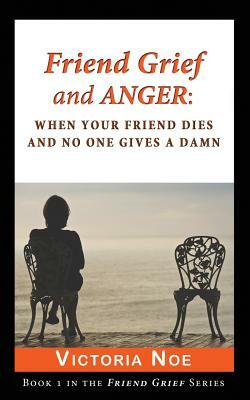 In the first of a series of books on grieving the death of a friend, Friend Grief and Anger; When Your Friend Dies and No One Gives A Damn", you'll meet people who also struggled with anger after their friend died. And they'll help you answer the question: "Okay, I'm angry: now what?"